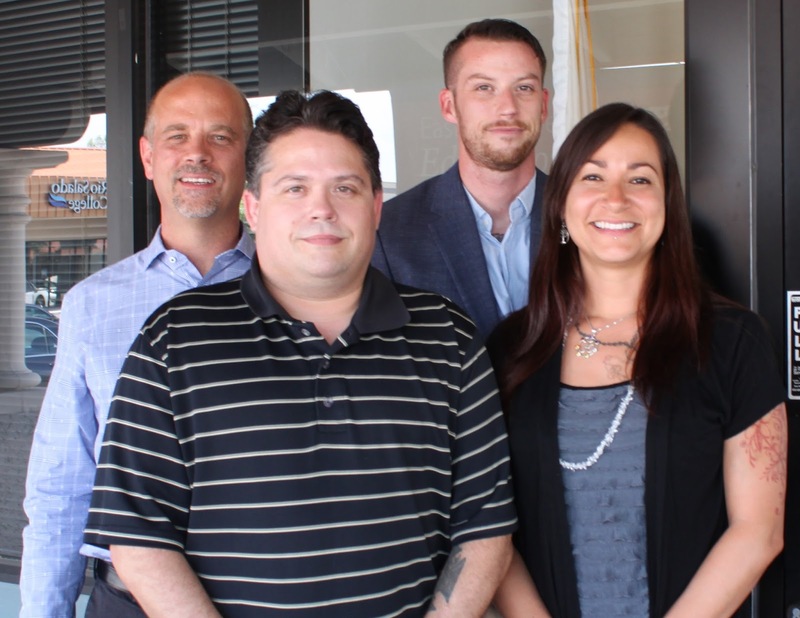 Rio Salado College | RioNews: Sinema Veterans Resources Clinic March 9! 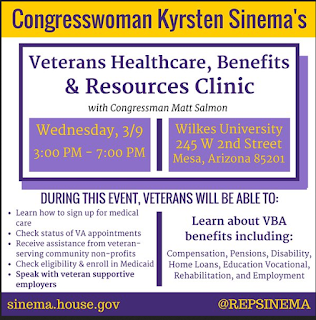 Sinema Veterans Resources Clinic March 9! 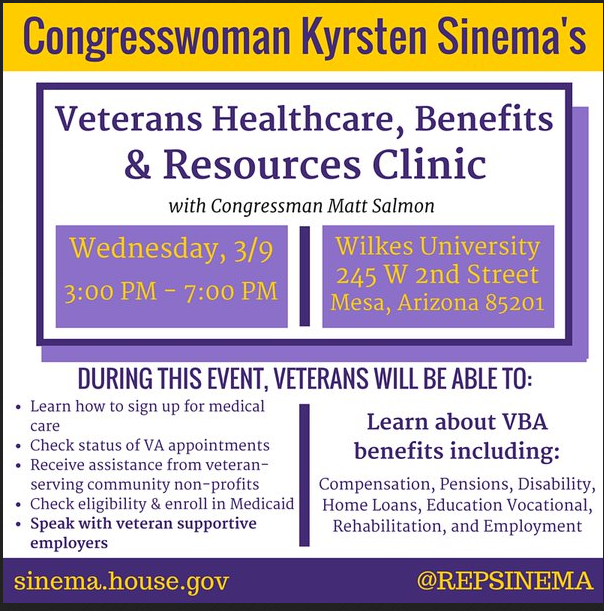 Rio Salado College and the East Valley Veterans Education Center (EVVEC) are proud to support this veterans clinic hosted by Congresswoman Kyrsten Sinema's team on March 9! The EVVEC team will host an information booth to provide details about the programs and services that are available to veterans and their families-- all year long! We encourage you to stop by to learn how the EVVEC can be of service to you! The EVVEC in Tempe, Arizona offers veterans and their families a variety of services such as academic advisement; assistance applying for VA educational benefits; educational, employment and workforce development workshops; Internet, computer and Skype access, in-person classes and more. The EVVEC is hosted by Rio Salado College in partnership with the Maricopa Community Colleges District, Scottsdale Community College and Mesa Community College. Other partners include the City of Tempe, Arizona Department of Labor, Arizona Department of Veterans’ Services, Disabled American Veterans, Arizona Department of Economic Security, Phoenix VA Healthcare System and Phoenix VA Regional Office.